What could go wrong? Disasters, terrorists, sabotage, explosions, to name a few. The recent blockbuster movie Deepwater Horizon dramatized, in vivid reality, the risks involved with drilling for oil offshore, and as recently as this week, 100,000 residents were evacuated when the Oroville Dam in Oroville, California spilled over causing $100 million in damages. In the energy industry, lives, jobs and equity are always at stake. There is not a single major oil company in the world that doesn’t mitigate the risks alone. They all hire service providers at some stage in the supply chain in the daily pursuit of operation excellence. As with most industries, before drones, companies like BP relied upon an increasingly short pool of technical talent and tight budgets to detect, discover and fix problems before they happen. A report by Bain & Company states that “more than 10% of production capacity is locked up in complexity and inefficiency—a valuable opportunity for improvement.” As the value of remote vehicles has increased and penetrated almost every market in the United States, meeting the challenges of systematic improvement and reducing costs are the heart of big oil’s motivation for their use. According to KPMG, energy companies have left energy production behind and have morphed into asset managers. In Unsung workhorses of the oil industry – Oilfield Services Companies, oil producers have left the real work of exploration and delivery to service providers. “Over time, oil companies have increasingly become asset portfolio owners, more at arm’s length from the execution of operations and support services needed to perform these. Oilfield services companies have established themselves as the heavy lifters of the oil and gas industry (or, as the Economist put it, ‘Unsung workhorses’ or ‘Masters’ of the oil industry — depending on your point of view — by leading both the delivery of operations and the innovation space. This means that UAS technology and the value it brings to the O&G industry is being researched and adopted by both oil producers, but also O&G service companies. This is both good and bad for the companies on our short list of leading UAS service providers, mostly good. Several companies have staked a claim on the energy sector, but only a few qualify as world class. In Europe, there is Cyberhawk and Sky-Futures, two firms we will profile later. In the U.S., there are three industry leaders. Others want a piece of the coming market share including the UAS industry’s first titan, Airware. Even General Electric has engineered its own drone to “sniff out gas leaks” called the Raven unveiled last year at its Oklahoma City Oil & Gas Technology Center. The goal of the Raven is to take all of the disparate solutions involving flight management, safety, service and others and bundle them into a single solution for oil and gas industry needs. With its epic proficiency in research and development, there is no reason why GE shouldn’t be considered a world class UAS O&G service provider if it weren’t for Raven’s recent departure from the lab to testing in the field. In all fairness, GE isn’t the only one who wants to outfit the industry with autonomous drones. As was reported in 2013 by The Journal Of Petroleum Technology, Aeryon Labs has been working with BP on testing its SkyRanger drone to inspect oilfield equipment and pipelines to assess maintenance needs. For now, humans with The Right Stuff rule, and specialization is the name of the game. The core capabilities gained by serving one industry, such as energy, do not translate meaningfully to the next, like media or agriculture. The NDVI (Normalized Difference Vegetation Index) is a standard measurement indicator used in agriculture that would not be useful to oil production where NDT (Nondestructive Testing) is used for metal inspection. At present, many UAV service companies attempt to be all things to all industries. One industry insider says there are over 50 companies claiming to provide UAS services to the oil and gas industry. Increasingly, it will be logically and feasibly impossible for UAS service providers to successfully compete in more than one market without the technical brilliance of a Google. The “jack of all trades” approach will prove to be the demise of many companies in the future without an industry to call home when market conditions mature. These three companies specialize and have been hand-picked as first-to-market with meaningful solutions that meet our criteria. Oil and gas is their lifeline. The criteria for a “world class” UAS provider in the O&G industry boils down to 10 requirements. The companies profiled below possess all of the criteria we were able to verify — (1) Professional aviation background; (2) Oil and gas industry experience and certifications; (3) A thorough understanding of oil and gas regulations; (4) Robust ground and air safety management systems; (5) Risk mitigation processes; (6) Ability to scale; (7) Appropriate knowledge of equipment and capabilities; and (8) Creative problem solving to meet client needs. 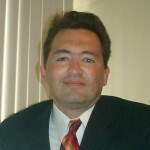 We have Steven Fargo to thank for helping to construct the first eight essentials, Founder and CEO of DataWing Global. To the criteria we added (9) Leadership; and (10) Clients and partnerships. These ten prerequisites should serve as a checklist for any energy industry executive interested in hiring an unmanned services company, but also a checklist for the UAV services company wanting to enter the O&G market who needs to up their game. Consistent with all of the companies in this list is privacy. No one wants to share a client list, their UAS hardware and software in use and especially data. The same held true for those on our list of anti-drone technology companies, but this is the oil industry where winners are big, but losses can be equally as big. At present, it’s difficult to place a number on the size of the market for these services, but we estimate no more than seven figures with conservative estimates of market penetration to be less than 10%. It’s a wide open race. The criteria above are just the beginning of what will be needed to compete in the energy industry. Last year an insiders only research forum in Houston and produced by Darcy Partners determined nine competencies within three categories for world class service: (1) Device (Hardware, Sensors, Flight Control System); (2) Data (Transmission, Storage, Cyber Security, Data Analysis); (3) Domain (Aviation, Application, Domain Expertise). Steven Fargo elicits the vision of the original oil wildcatter, more Daniel Fairview than Jed Clampett. Like the main character in There Will Be Blood, Fargo is the fierce and rugged prospector without the villain. If you don’t know what oil smells like or feels like between your fingers, do you think an oil company will pay you to fly a drone on their field? Not gonna happen, not today. Tomorrow maybe. Maybe later. Go back and watch it again. This time imagine an automated drone in the classic opening scene trying to make itself useful. Automation may be wonderful for knowing the health of a well’s above ground, but until one can actually do the work of a geologist by remote sensing what’s underground, I believe the prospects for gamblers like Fargo will remain high. You can’t create an algorithm that mimics the grit and adaptive conscious of a Steven Fargo, the lexicon of flammable lubrication or the many industry nuances he’s collected along the way. Oil execs listen to other oil execs that’ve actually had their hands dirty, like Steven Fargo, in one way or another. Roughnecks want to know you see their back, and when the job’s done, you can’t go out and toss back a few cold ones with a drone unless it includes a hard reboot and a remote firmware upgrade. Otherwise the drone stays in the truck or the flatbed with the other tools. This is a people business. Be that as it may be today, the career of the geologist may be in jeopardy along with other jobs that drones will or may replace. 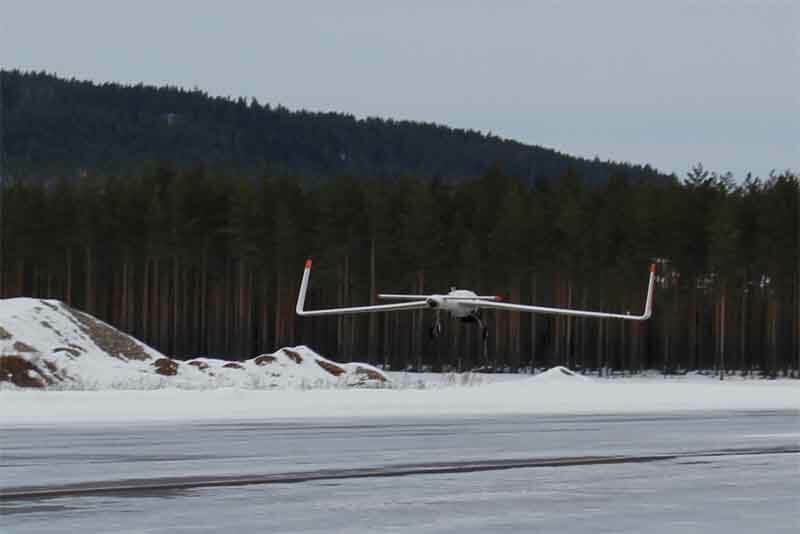 Scientists from the Virtual Outcrop Geology (VOG) lab at the Centre for Integrated Petroleum Research (CIPR) in Norway are testing the collection and analysis of subsurface geological data using drones. Fargo started out in aviation as a fighter pilot flying F-16s for the U.S. Air Force and the Air National Guard where he learned to fly and was taught the importance procedures. After the conclusion of his military service, applying the rigid structure and exact timing practiced in the military to achieve operational excellence through the bifocals of energy production was obvious. “At DataWing, we take that inspiration and experience (military service) from not only myself, but many members of our team, and use it to drive our operations and achieve performance in every aspect of our business. We will go to great lengths to provide specific solutions to our clients and we harness the tools learned from the military to make sure we help them meet operational and budgetary goals,” he said. Fargo cut teeth in oil and gas by working for recognized service companies, Flatrock Engineering & Environmental and SafZone Field Services. It was through these professional experiences that he learned more than the full supply chain. “I would argue, oilfield service operations are one of the toughest environments to run a services organization. The oilfields are highly competitive and at times are very fast-paced where one day you are pitching executives in board rooms and the next you are on a drilling site working with roughnecks. To succeed, you must learn very quickly what drives value in a client’s operation, whether it be upstream, midstream, or downstream,” he continued. “The oil and gas industry has a lot of manual and visual-based inspection processes that can be augmented with drones. 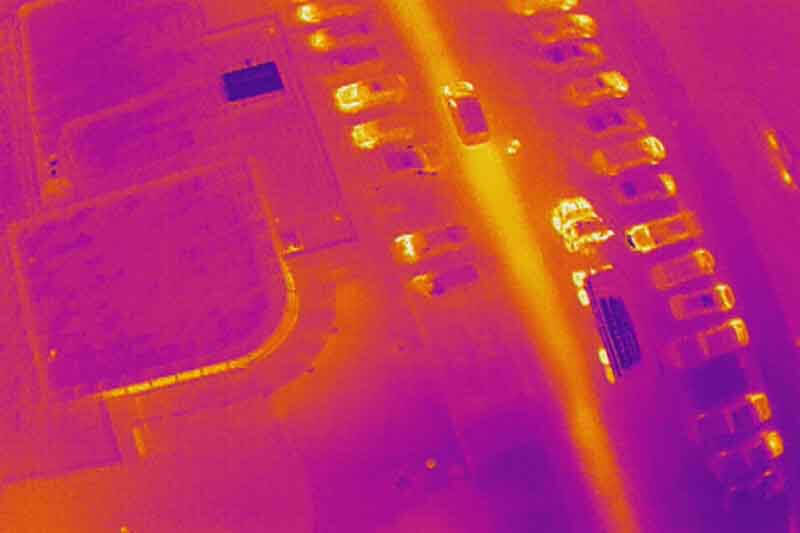 We are finding many use cases where UAS can efficiently enable the inspection professionals and allow them to do more with their time out in the field. Of course, a huge benefit of using UAS is the decrease in safety risk by keeping human capital on the ground,” he said. Pipelines are just one area where DataWing Global is using drones and, as Fargo explains, “almost every week we find a new opportunity,” with the original vision still intact – fly and inspect pipeline right-of-ways (ROWs) all across the country and use image recognition algorithms to identify encroachments, threats, or evidence of leaks. “Although we are limited to the distance we can fly UAS based off of current legislation and FAA rules, we are working very hard with a variety of organizations to help show the benefits and feasibility of flying UAS for the purpose of pipeline safety. Until we are approved for beyond-line-of-sight (BLOS) operations with UAS we will continue to use our manned aircraft that have cameras on the wing, to collect the data. This way, we are still able to show clients the benefits of image based data analysis and then transition to UAS flights once the FAA allows it,” Fargo concluded. What names are on the DWG’s client list? It’s hard to say, a consistent theme among the three companies on our list. Although Fargo says his clients are “large companies with large operations and they demand consistency,” mums-the-word for DataWing Global, SkySkopes and Trumbull Unmanned who have all been sworn to secrecy. The most notable is Trumbull Unmanned led by Dyan Gibbens, a resilient entrepreneur who has become an outspoken leader in the UAS industry. She is co-founder and partner of Trumbull based in Houston, Texas. What makes Trumbull notable is Dyan Gibbens. Every time she smiles it’s like she just struck black gold. One cannot be mesmerized by that smile she shines as bright as the reflection of Texas Tea on a hot, sunny southwestern day. Dyan is everywhere. In magazines, in the media and is a regular speaker at the most important drones-related conferences in the United States — Commercial UAV Expo, InterDrone and AUVSI’s Xponetial. She even shares her knowledge and experience with others in trade publications like the Oil & Gas Financial Journal. Over-exposure isn’t even a consideration when you’re growing a business, but Gibbens’ talent for promotion has raised eyebrows from CEOs with less engaging public speaking skills or trepidation about strategic marketing. One such startup, a Trumbull competitor with a reputation that extends beyond the distance of word-of-mouth, inexplicably ignored the invitation to participate in a piece entitled The Making Of A World Class Oil & Gas Drones Service Provider. In an industry known for necessary discretion, Dyan Gibbens is one of the most recognizable faces and names in the business. From a purely monetary perspective, having a leader who can communicate with confidence and passion the value of a young, aspiring company is an effective way to compete, sell and attract buyers of products, services and companies. Getting out there is a way to get your company noticed, and even acquired, which happened this week to another drone startup, Skyward, whose CEO, Jonathan Evans, I have seen at many conferences and events. This week Skyward was acquired by Verizon. Dyan Gibbens met her husband while both were members of a parachute team at the USAF Academy. JR Gibbens was a pilot flying F-16s that performed developmental and operational tests of advanced UAS while Dyan Gibbens served the U.S. Air Force managing those nuclear cruise missiles. Yes, nuclear cruise missiles. There may only be one or two women in the world who can legitimately place those three words on their resume. Dyan Gibbens is one of them. With their aviation, military and unmanned systems experience in hand, Dyan and JR Gibbens set out to conquer the industry closest to home by combining UAS with military accuracy to an industrial application in constant need of precision. “For Trumbull, we aimed to transfer our expertise in high-risk, high-value defense, research, and commercial operations to effectively deliver actionable information,” she said. Trumbull was one of, if not the first to enter the oil and gas industry with UAS solutions and counts Chevron as a customer. Chevron recently published a research story about how it is using drones to support emergency and oil spill response in partnership with Trumbull Unmanned. 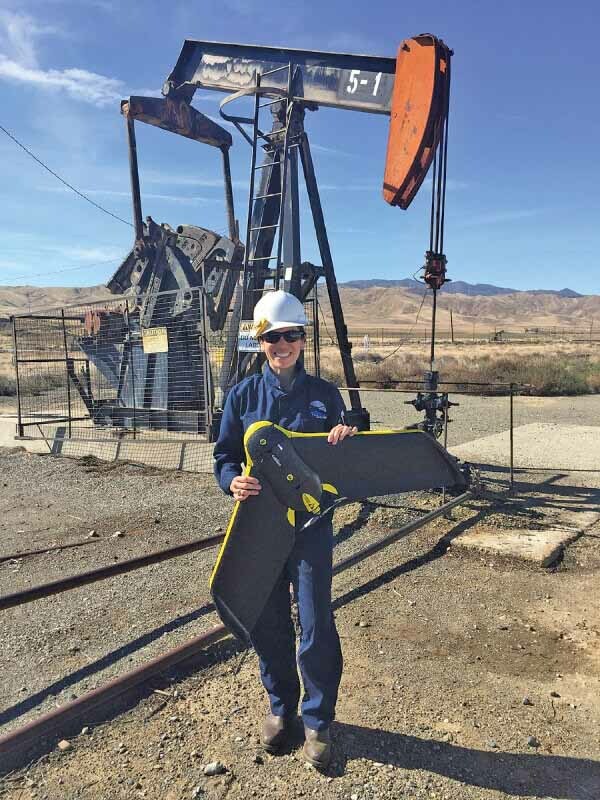 Dyan Gibbens with the senseFly eBee at an oil rig in Texas. 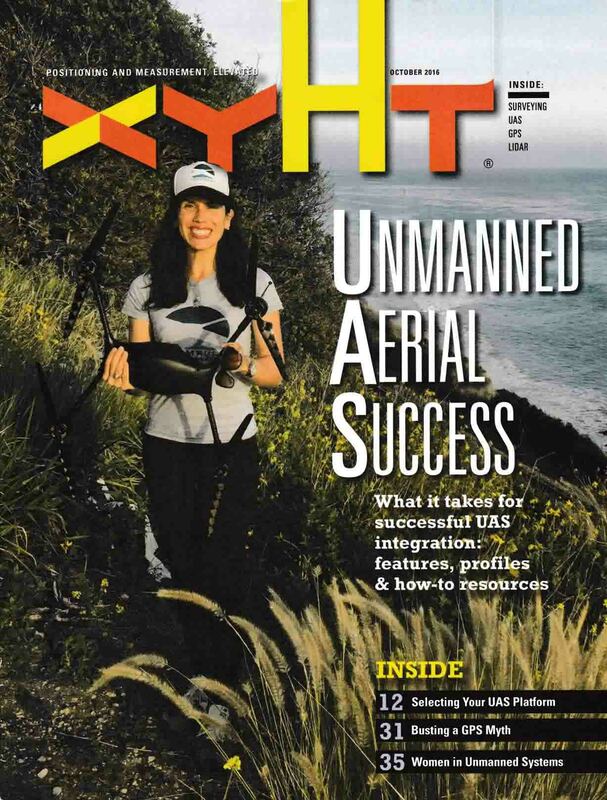 Dyan Gibbens on the cover of a respected magazine, xyHt. “To date, Trumbull has used risk mitigation and safety protocol for each project. With each client, we meet with safety and risk stakeholders and established small UAS guidelines for client global UAS operations,” Gibbens mentioned about Trumbull’s preoccupation with safety. What about solving problems? “Over the last few years, roughly half of our projects have been unique (non-recurring). For some efforts, we designed new sensors, for others we applied technology in ways it has never been used before,” she continued. Building custom made sensors to meet unpredictable challenges epitomizes the Trumbull ethic of rapid fire ingenuity learned through years of military service. Trumbull prefers to a wide variety of brands instead of dedicate itself to a single maker. We are technology agnostic and choose from roughly 15 different systems, then select specific platforms/sensors for specific tasks,” she said. “For small to mid-size projects, Trumbull has flown PrecisionHawk Lancaster, senseFly eBee and (senseFly) Albris. 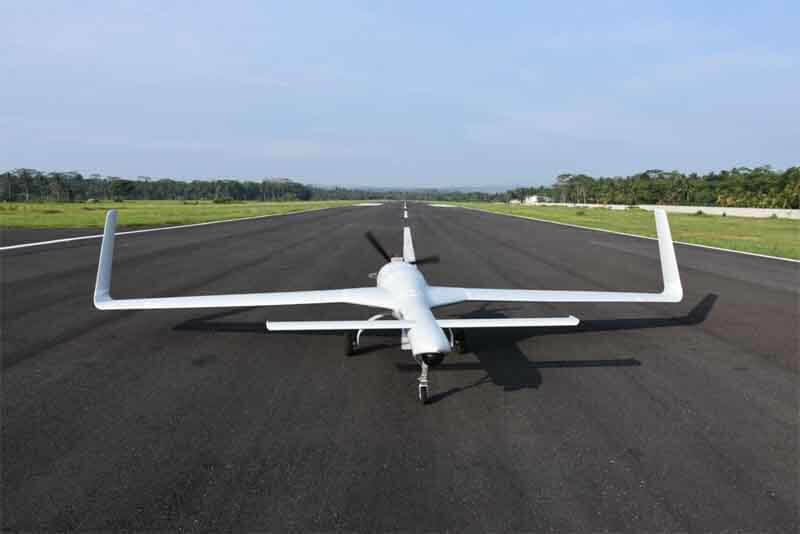 For many projects with small launch / recovery areas, our go-to UAS is Lockheed Martin’s Indago. We have several Indago sensors and have flown onshore and offshore and supported upstream, midstream, and downstream efforts,” she concluded. The Bakken in North Dakota is where dirt met oil and had a baby. They called it Money. Money Jr. Those earthquakes you’ve been feeling in your neighborhood? No, it’s not Hydraulic fracking. That’s the rock and roll of dirt and oil making more babies. And at the center of the combustion is Matt Dunlevy and SkySkopes, the ordained minister of UAS in the Bakken, and the marriage counselor to dirt and oil keeping the relationship together with drones. SkySkopes is only the latest in a series of successful tech startups founded in North Dakota by Dunlevy. The Minister Of Drones grew up in North Dakota, studied mechanical engineering and history at the University of North Dakota, teaches at UND, started companies in North Dakota, and when they’re ready to retire, he’ll bury his drones in North Dakota too. At a young age, he became interested in entrepreneurship and ultimately combined a lifelong passion for aviation and USAF experience with a passion for business to form SkySkopes. “I was in in the U.S. Air Force Reserve for four years and have logged hundreds of flights on powered aircraft and gliders since my teens. I’ve also conducted hundreds of flights on unmanned aircraft as a hobbyist. This led me to start SkySkopes,” he said. 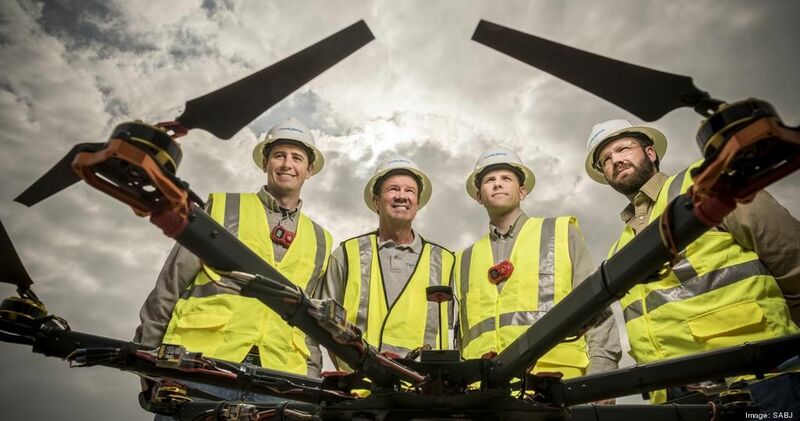 The company has completed professional UAS work for companies around the US as well as internationally, growing from an initial staff of four when Dunlevy launched the company to more than twenty today. 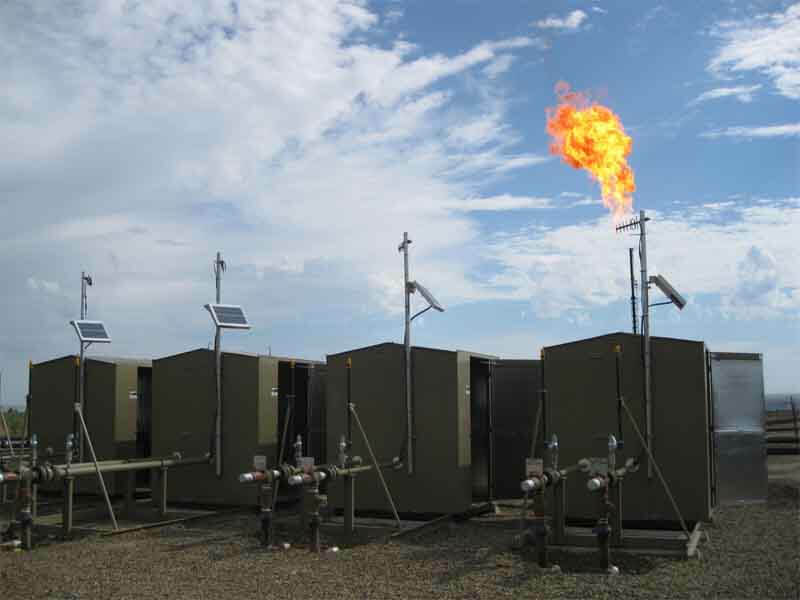 Aerial inspections, energy audits and data collection are a few of the services performed from offices in North Dakota, Michigan and Wyoming, the new Bible Belt of American oil. North Dakota is one of the hubs of UAS in the United States. The North Dakota Aeronautics Commission has made a dramatic push to promote the states growing community of UAS companies that include many household names in the business producing hardware, software and services. Nearly 12 million gallons of oil left North Dakota’s Bakken Formation in 2016, spouting from about 13,000 oil wells, despite a sharp decline in production since 2015. Capturing and transporting oil in the U.S. takes thousands of derricks, miles of pipelines and railway and a whole host of other equipment and infrastructure. That infrastructure needs to be maintained properly to be as productive as possible, but inspecting isn’t always an easy or even safe process. With drones, the task becomes simpler — saving time, money and human lives. Minot, North Dakota, one of the company’s flight operations, is the closest major North Dakota city to the assets moving that oil. With reports surfacing last week of terrorist threats to the Dakota Access Pipeline (DAPL), everyone is on edge in the Bakken. 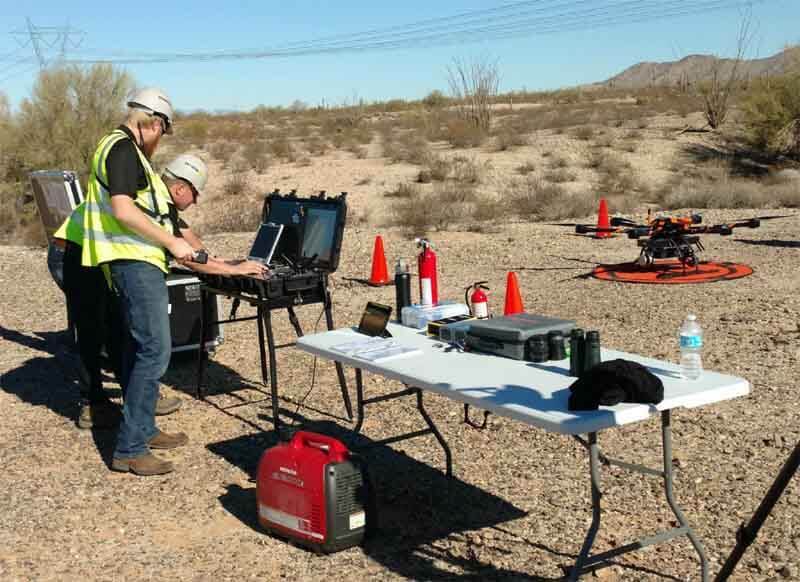 “We integrate unmanned aircraft into industrial inspections and other data collection tasks to create safer and more efficient processes for our clients. Our equipment is state-of-the-art including only the finest sensors, data collection and analysis tools. We’ve been at this for a while which has helped us to present data to customers in a way that allows them to use it for informed decision-making,” Dunlevy mentioned. 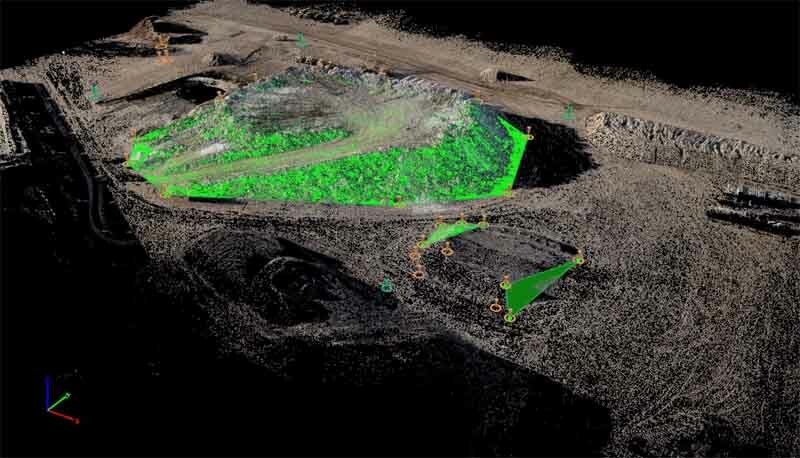 Everyone here is platform agnostic, but some of tools used by SkySkopes include Pix4D, DroneDeploy for high resolution mapping, Global Mapper, Autodesk AutoCad, Autodesk Civil3D and Skyward for fleet logistics and mission planning. With all the revolutionary technology at the disposal of the oil and gas industy, what are the use cases for UAS? What are the reported applications for how the technology is being used today? In the Bakken as elsewhere, oil and gas companies haven’t even scratched the surface of what is possible with UAVs. All of the companies listed here, including GE and others, have only just begun, but drones for the oil and gas industry aren’t going anywhere but up. Matt Dunlevy sent me the photos below to show some of the inspection they are doing along with photos of an impressive FX450 fixed wing drone used through a partnership with manufacturer Robot Aviation. 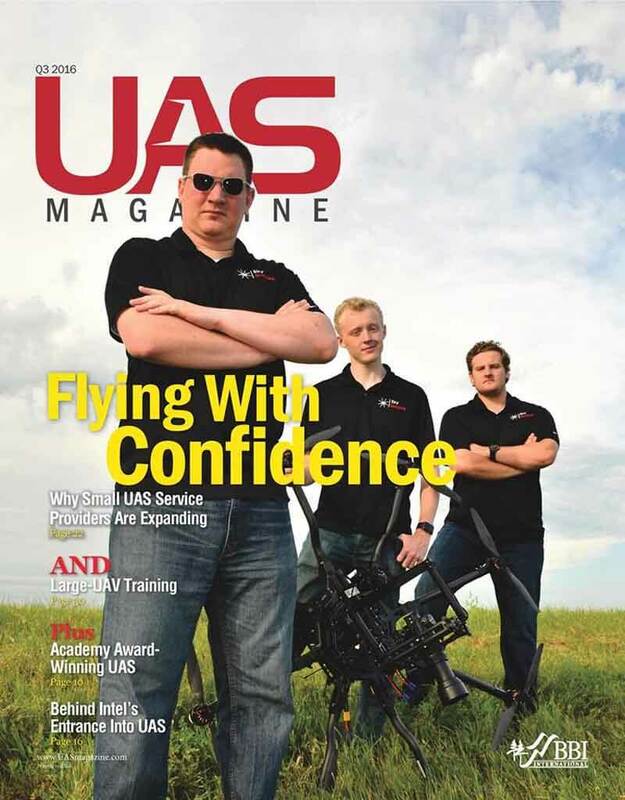 Matt and company on the cover of UAS Magazine.